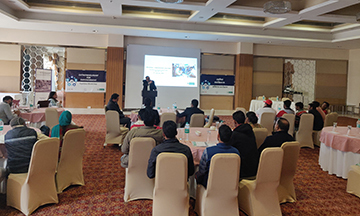 The regional coalition meetings under the Entrepreneurship for Empowerment programme, aimed to build a strong ecosystem for accelerated micro enterprise development in Uttarakhand and Uttar Pradesh. 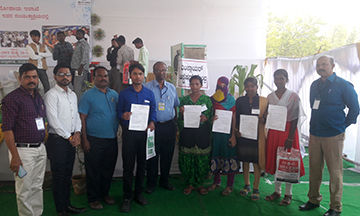 Under the Bridge to Livelihood Project supported by UNDP and NSDC, DA created awareness on National Apprenticeship Promotion Scheme for industry representatives and stakeholders of Raichur (Karnataka). 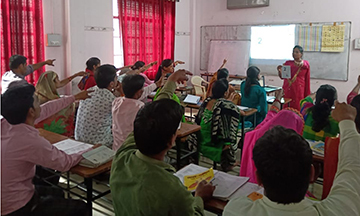 Under the NABARD Tribal Development Fund, a ten days training was organised in the Shivpuri district of Madhya Pradesh; wherein 40 women got trained on cutting, sewing and stitching of garments. Women’s economic empowerment is a prerequisite for sustainable development. 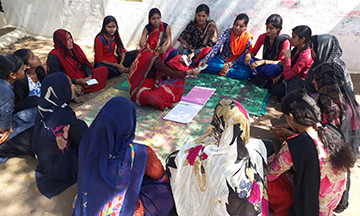 Since its inception, DA has been designing and providing eco-solutions for women in the areas of literacy, energy, water, habitat, skill development and capacity building and enterprise development. 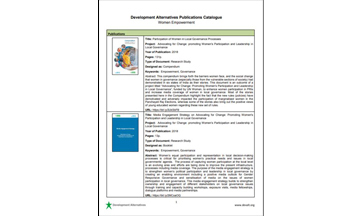 This Publications Catalogue is a compilation of major publications on women empowerment developed by DA. 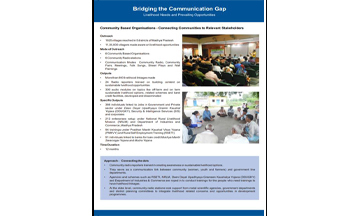 The project 'Bridging the Digital Divide – Technology Innovations for Community Based Organisations (CBOs)’, supported by the Ford Foundation, facilitated incubation of 7 technologies addressing various needs of the CBOs. 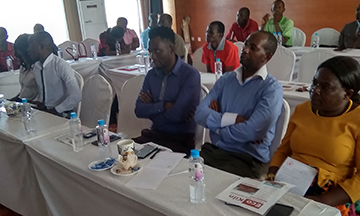 This capitalisation document takes us through the approach and achievements of the project specifying the livelihood needs and prevailing opportunities for the CBOs. DA, with support from Heinrich Böll Foundation, has initiated a study across four cities looking at resource efficiency, sufficiency, equity and operational management of the urban water system. 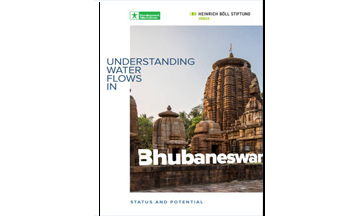 This study, undertaken with support from Heinrich Böll Foundation, explores and understands water resource flows in urban areas of the city of Bhubaneswar. 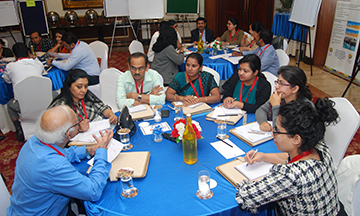 There are several facets of entrepreneurship and empowerment – and we need to promote them all. Innovation is required in standardising enterprise support services, and at the same time customising solutions for each entrepreneur persona with their unique needs. 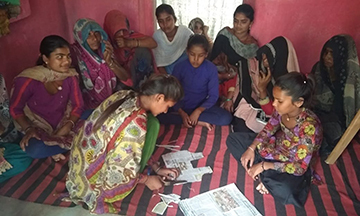 In this blog, Kanika Verma (Programme Director, DA) draws attention to DA’s efforts on capturing new narratives by unshackling aspirations and the unfulfilled potential of empowerment, enabling self-actualisation of entrepreneurs. 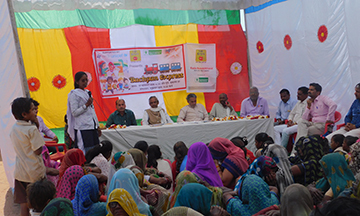 The International Women's Day was celebrated with enthusiasm in various programme areas of DA. Media has covered the celebrations done in Madhya Pradesh, Uttar Pradesh and Uttarakhand. 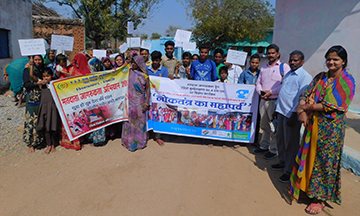 This short film highlights the programmatic interventions of safe drinking water initiated by DA. The film showcases the field work conducted by DA for imparting education to the wider public on the importance of water quality and its safe consumption. 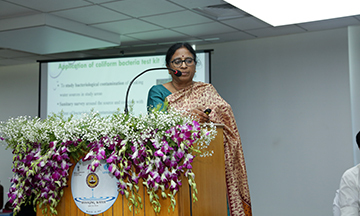 It also describes the significance of clean water for individual well being, and then proceeds to various techniques and strategies developed by DA, including Aqua+ and SODIS for rapid treatment of water to ensure minimum, acceptable standards of water quality.